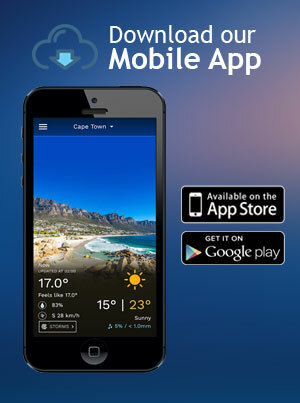 AfricaWeather provides the best available weather risk management solution in Africa. We are uniquely positioned to help you manage exposure to lightning at your grounds. Our solution has been adopted extensively across South Africa’s schools and golf courses. How the lightning warning system and online portal benefits your facility? How does the lightning warning system work? 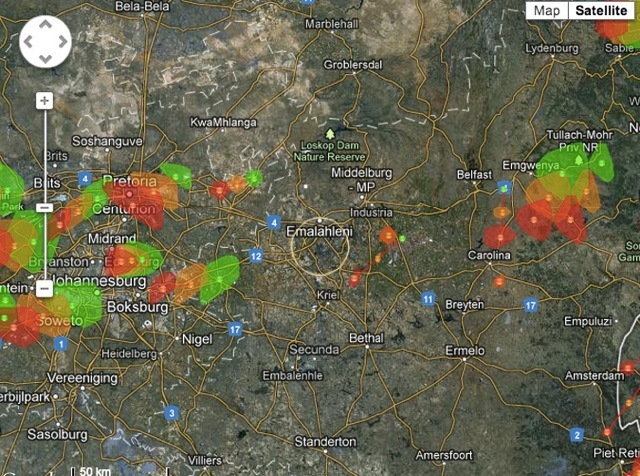 We monitor the entire country for grounded lightning strikes using the South African Weather Service’s national lightning detection network. We automatically trigger a siren through our alarm WISBOB system installed at your grounds and we activate a spinning strobe light as a visual confirmation of the danger condition. We send a confirmation email and/or SMS to your grounds staff, coaches and sports directors confirming the lightning strike. When lightning has been clear for 15 and/or 30 minutes at your discretion we notify you by alarm, SMS and/or e-mail to resume play. We also deactivate the spinning strobe light as a visual confirmation. Note: At any point, you can log into the online portal to monitor the storm in real time as well as its projected path. Our online storm tracking tool allows you to see where severe weather is located and headed over the next 60 minutes. The system will provide you with the storm’s estimated time of arrival, direction, intensity and distance from your facility. You can also see if the storm will miss your facility with its projected path. You are able to identify which storms moving towards your site contain lightning and if lightning strikes are intensifying or decreasing. The online storm tracking tool allows you to identify the exact location, intensity and exact time of recorded lightning strikes. In addition, you can view lightning and storm information on your computer or mobile phone to learn more about the inclement weather. We supply accurate and detailed forecasts specifically for your facility, based on advanced model data technology managed by our team of experienced meteorologists. This allows you to anticipate weather conditions up to two days in advance. We even provide hourly outlooks for the next two days. Forecasts are also updated every hour for more accurate planning. Forecasted wind speed, chance of precipitation, cloud cover, temperature, humidity, fog risk, pressure and fire warnings can be viewed as detailed graphs. This information can be used to optimise planning and improve operations on a daily basis, such as irrigation scheduling. What equipment do I require? To complement your Lightning Warning System and Online Portal, we strongly recommend that you install the GSM relay system that communicates with the lightning warning system. Once lightning is recorded in your safety zone, we send a message to the GSM relay system which then triggers a siren and strobe light which acts as a signal for players to move to safety and we send a message to your sports and facilities staff (up to 10 mobile devices). The GSM relay system is fit with a siren that carries an audible signal for up to 700 metres. Due to the varying sizes of facilities, you may require additional outstations to reticulate the audible signal. Each outstation acts as a local radio-frequency receiver to communicate with the GSM unit, and includes a siren and strobe, thus allowing you to cover your entire facility. We have a dedicated team who handles all your installation requirements and training. We have a one-year warranty on the GSM unit. The average lifecycle of our product is five years, which means that you don’t have to regularly service or replace the equipment – unlike cheaper alternatives. We also have a dedicated team that is available for maintenance as per your requirements. Once you have placed your order we usually have a two-week turnaround. However, this varies according to demand.